Karachi: Chinese food festival was conduct by consul general of China at Pearl Continental's Tai Pan Restaurant. 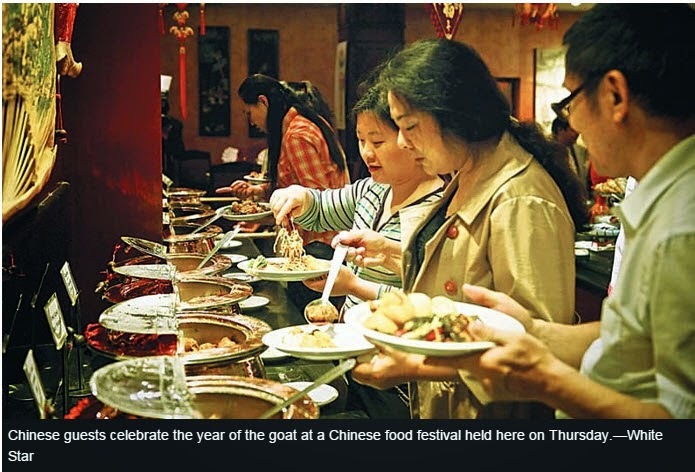 This food festival was held for celebration of the Chinese year of the goat. At this savory festival, several mouth watery and delicious dishes were made by expert Chef Mr. Xiao Bing. He had prepared for New Year special menu with seafood dishes and made special ribbon fish for guests. In sea food, fish is very popular in china, said Xiao Bing. Mr. Xiao Bing, told media reporter that people call him Ziauddin in Pakistan. He has been working for 12 years in Pakistan. He revealed that Chinese food has different taste outside china as compared to the authentic Chinese food prepared in China. This difference is because of ingredients, in Pakistan vegetable oil is used instead of cooking vine, and it is replaced by vinegar also. Chinese food has its own identity which makes it preferable all around the world. The uniqueness in Chinese food is that in any country it can be cooked with their taste preferences. Due to this difference Chinese food in Pakistan would not be same as it is in America. In festival dishes included Chinese gruel, fried prawns, fried fish, dim sum , Chinese hot pot soup, braised chicken with black mushroom, prawns with pickled chili, ribbonfish, fried rice (Yung Zhor) and steamed squid with glutinous rice stuffing etc. all guests enjoyed Chinese food in festival, most guests came from china. 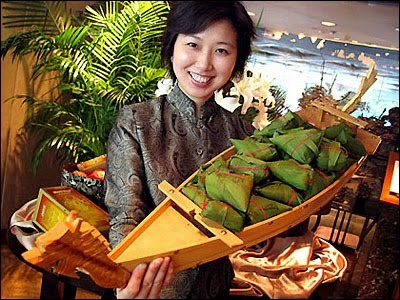 Beside of all Chinese food, sweet dishes were also served to guest. Chinese food is not popular for its sweet dishes that are why sweet dishes consist of custards, pudding, cakes and ice cream. This event will be favorable for Pakistan and china friendship and these types of events should be conducted regularly. This healthy event is also given joy to those people who love Chinese food.